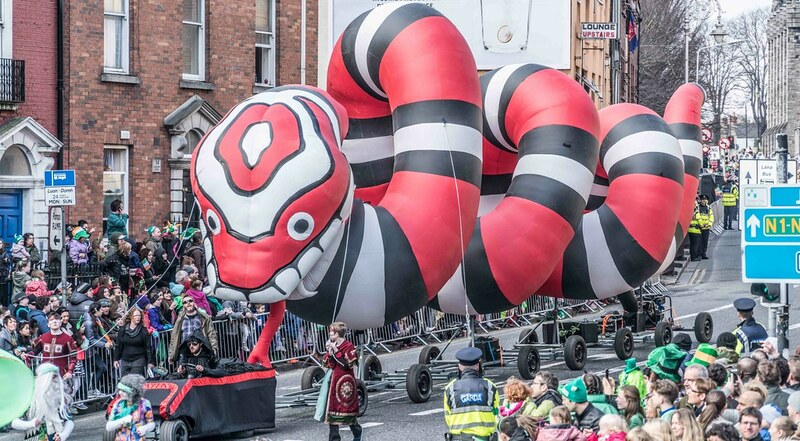 There are no snakes in Ireland. 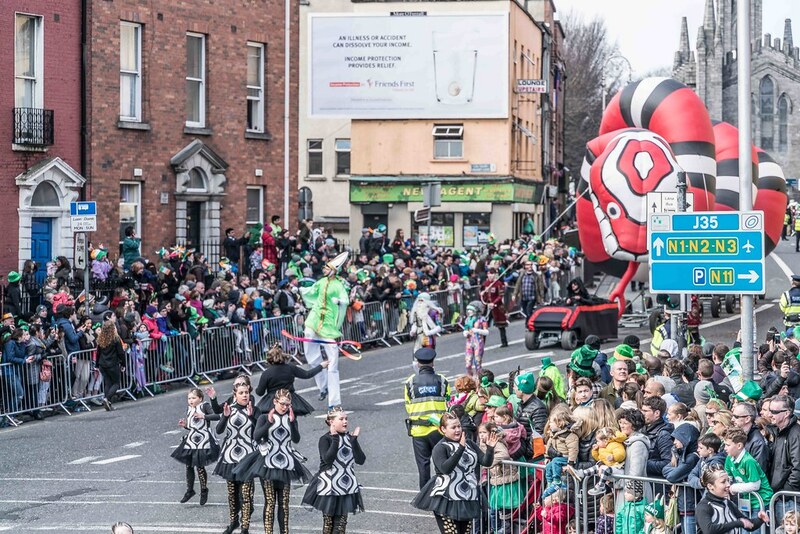 Legend has it that this is thanks to Saint Patrick himself, who ran them out of the country in the 5th century. 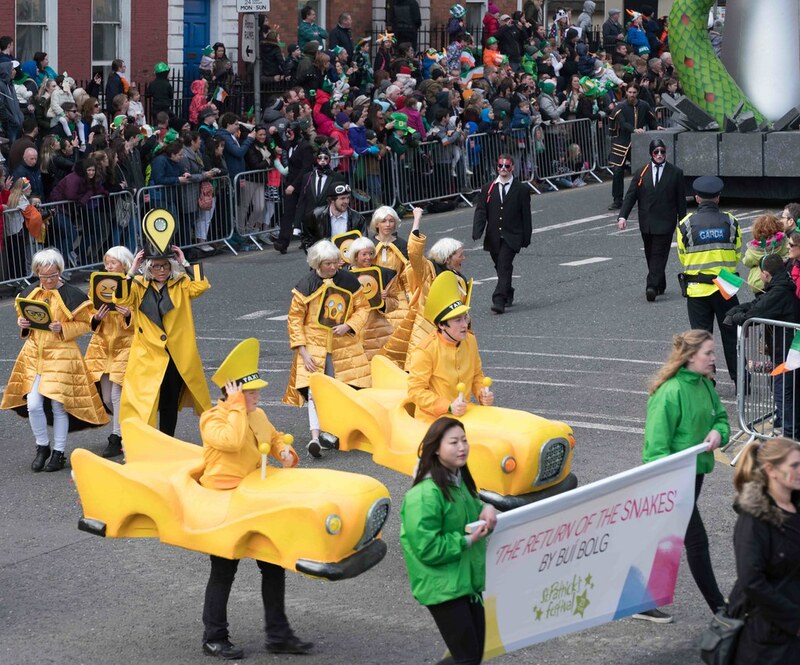 The pupils from Wexford Educate Together NS imagined a future where they have returned. 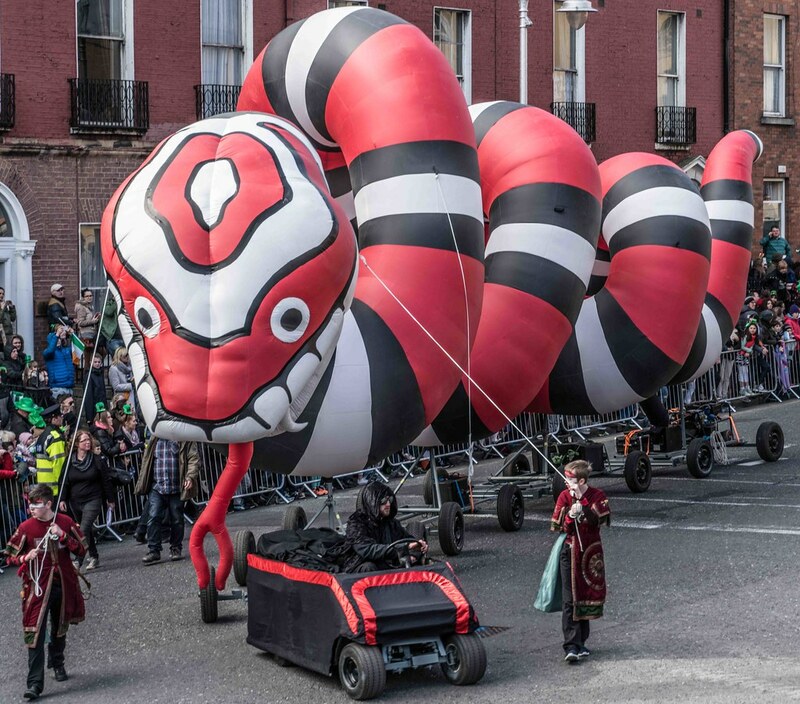 Buí Bolg's pageant, "The Return of the Snakes" is a futuristic retelling of this story. 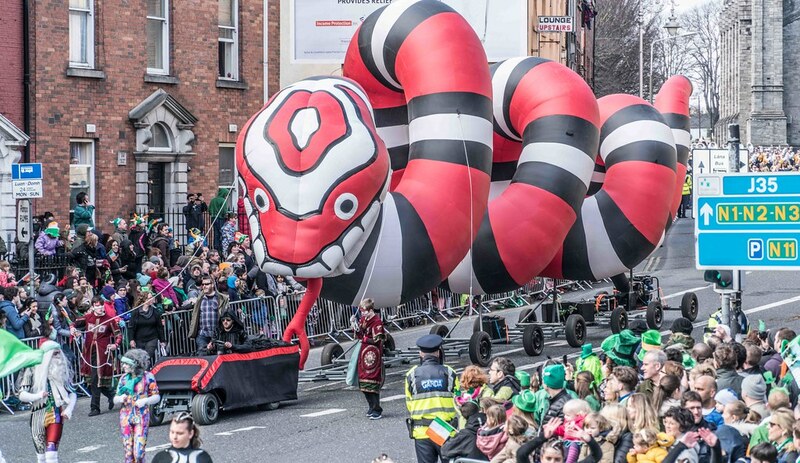 When massive, intelligent super-snakes threaten to take over Dublin, there's only one man for the job. 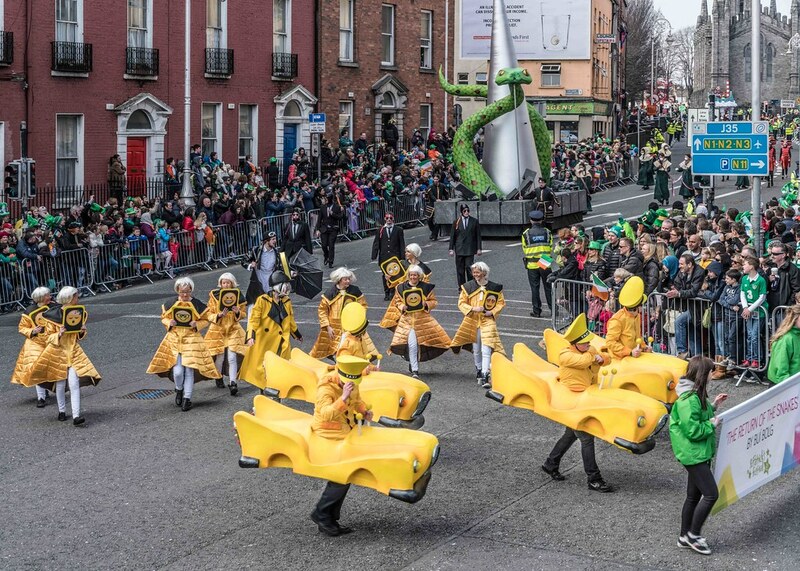 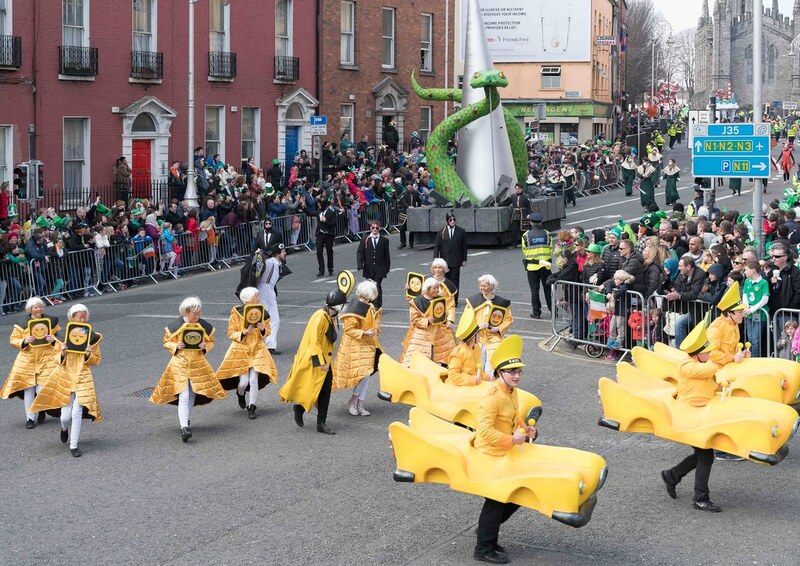 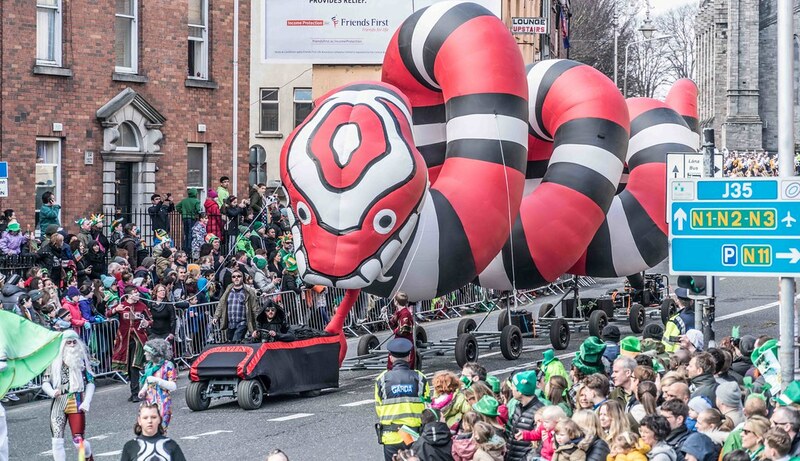 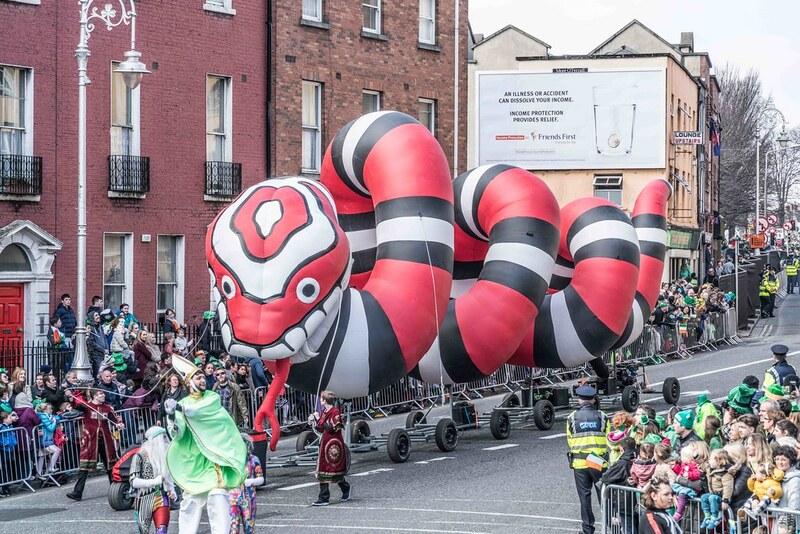 Together with his athletic team of crosier-wielding warriors, Saint Patrick will protect the people of Dublin from one of the biggest snakes you are ever likely to see! 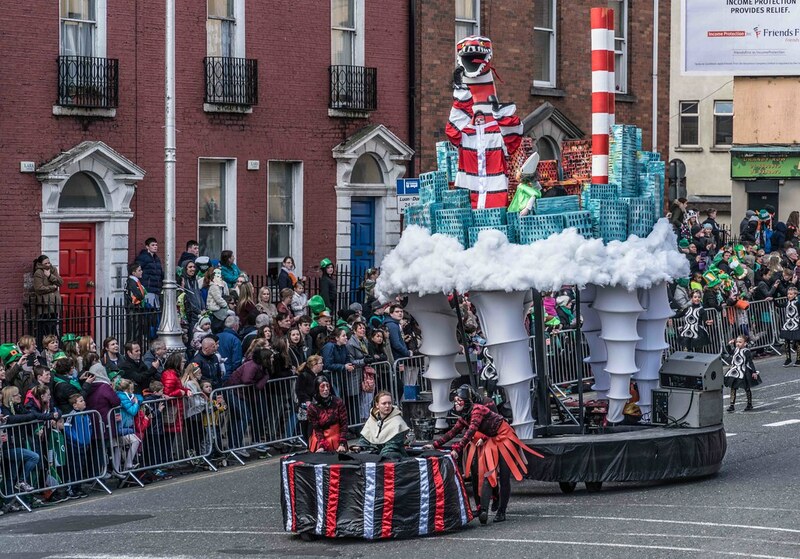 Buí Bolg is a team of skilled, visual artists and engineers, performers and designers, led by Artistic Director, Colm Lowney. 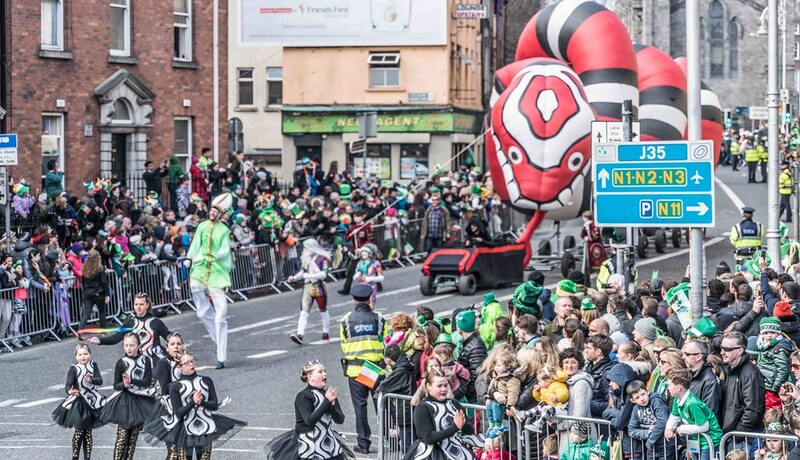 Established in Wexford in 1994, the aim is to bring art onto the streets and make it accessible for all.